Turn broiler on high, and let preheat - about 10 minutes. Wash shrimp. Lightly coat broiling pan with cooking spray. Line shrimp (with skins & tails on) onto the broiling pan. Drizzle with olive oil and Balsamic vinegar. Sprinkle with sea salt & black pepper. Broil for 2 minutes. 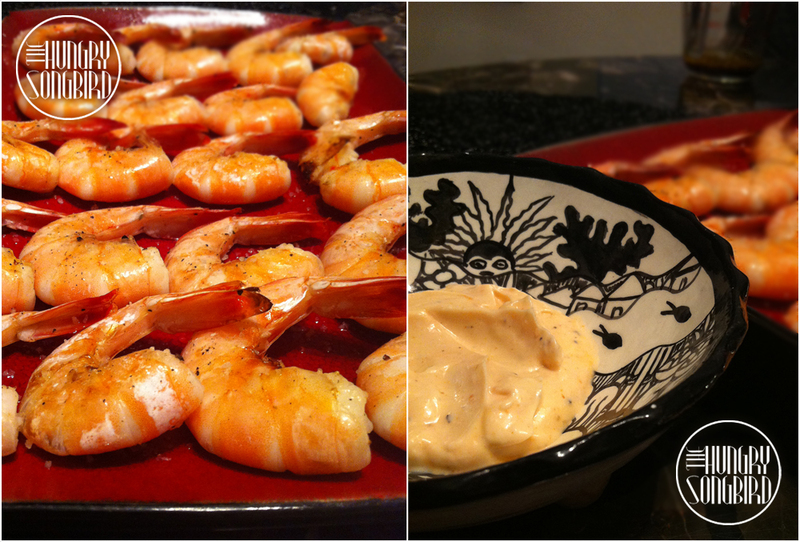 Remove from oven, turn shrimp over, and sprinkle with more sea salt & black pepper. Broil for another 2 minutes. Remove from heat, and place shrimp on a platter. Finish with flaky salt. Serve with your favorite shrimp dipping sauce or the sauce I described above. Enjoy!! !